The NOC is to take legal action against protestors that have blockaded the gas pipeline to GECOL’s power plant in Zawia (Photo: GECOL). The National Oil Corporation (NOC) announced today that it is to take legal action against the group of people who have used force to close the valve of the gas pipeline feeding the Zawia power station. The pipeline belongs to the Sirte Oil and Gas Company and is located in the Bir Tirfas area near Bani Walid, south of the capital Tripoli. 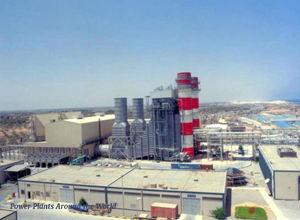 The NOC said that this forced and illegal closure by these groups had resulted in the Zawia power plant losing a large part of its generation capacity as a result of having to run using diesel which has to be transported in at an enormous cost to the public treasury. The NOC stated that a ‘‘humanitarian disaster’’ on a national level was caused as a result of the total blackout and failure of the national power grid to most areas of the country on 14 January which led to deaths and suffering for Libyans in general and to the south in particular (parts of which had a total blackout for six days). Confirming its previously stated position that it deems any blockade or interruption of any of its oil installations by any protestors, irrespective of the validity of their demands, as unjustified criminal acts, the NOC stated that it refuses to give in to any blackmail directed against the Libyan state. In view of the non-compliance of the pipeline blockaders to the warning statement issued by the NOC, and the repeated appeals from the General Electricity Company of Libya (GECOL) and the warnings and ultimatums from a number of officials and House of Representatives (HoR) members regarding the consequences of their actions, the NOC has initiated legal actions with the Public Prosecutor. This was taken as the first stage of legal proceedings. A criminal charge was also initiated on 15 January which will be followed by a sequence of other legal actions. The NOC also stated that it will not tolerate any person, entity or organization or (military) formation or military gang that tries to meddle with the public’s assets. It will be recalled that under its chairman Mustafa Sanalla, the NOC has projected a hardline against the much practiced blackmail of the weak Libyan state by employees, locals, armed militias and gangs. However, the NOC is an oil exploration and distribution entity with little legal or security enforcement capabilities. It relies on other state entities to impose law and order and security. To this end, it is not clear how much real effect any legal proceedings by the NOC will have in reality if the Public Prosecutor’s Office and the local police agencies do not act against the gas pipeline blockaders. Ultimately, this action may entail legal coercion or arrest in the name of the state against an armed group of blockaders – a step the post Qaddafi state has been unable to carry out since the 2011 revolution. Nevertheless, the legal step by the NOC is very symbolic and sends a clear and loud message of the oil corporation’s intentions which if are backed up by the Serraj Presidency Council/Government of National Accord could set a precedent for the whole of Libya.